Make the interior of your house invigorating by having double glazed windows to keep the room temperature comfortable both during the summer as well as in winter. These windows are the perfect solution in case of weather extremities because of the special features backed with proven technology. 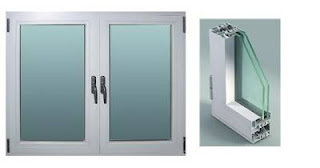 These windows are designed with two glass panes insulated by gas, mainly argon, and sealed, which does not allow outside heat or cold enter the room or the interior heat or cold go outside. I have got excellent results by replacing my windows with this type of energy efficient windows, and feel better in terms of comfort and health. The benefits of these types of windows are many which include saving on energy bills due to the ability of the windows to re radiate heat in winter months and not allowing heat to enter, in the summer months. Less carbon footprints will be generated inside your home due to less use of fuel, resulting in fewer emission of Carbon Dioxide. These energy efficient windows provide the ideal comfort within the house, preventing less heat loss and cold spots and draughts. Other benefits you get include reduction of outside noise, lesser condensation on the inside of the windows and security from outside intruders. Furthermore, you save your indoor furnishings, such as paintings, carpet, furniture, from being damaged due to external heat. You have a choice of glasses for these windows which include those in the range of decorative to regular ones. You can opt for the high performing low emissivity glasses having an almost invisible layer of metals on the panes together with a special kind of coating, available in a variety of glazes, to suit extreme fluctuations in weather conditions. For those living at places having extreme cold winters and cool summers can choose the glass having high solar gain property, which help in preserving the internal heat, making the room temperature comfortable. For areas having mild winters and summers, the glasses with moderate solar gain ability lets less amount of heat from entering from outside without any loss of light. You also have the glasses which have low solar gain, which prevent from Ultra Violet rays of the sun to enter the room, and are ideal for places where the winters are mild to moderate and summers, extremely hot. 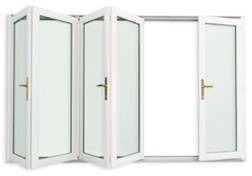 Insulation of the double glazed windows are normally made by inert gasses, Argon being the most commonly used for its high density property which lets less heat and cold from entering the room, while preventing any condensation on the glass panes. You will find a wide range of designs of glazed window panes and these windows can be custom designed according to your specifications relating to quality and size. Keep yourself healthy and comfortable while saving fuel and energy cost by installing these windows either at new constructions or as replacement windows. You will find the difference in the ambience of your room, enhancing the décor of your interior while being a healthy proposition.